Since time unknown, the engagement ring has been demanding an incredible amount of time from all its buyers. This is not because of the price that goes into buying one, but because of the message it conveys. It is the harbinger of the message, “You are mine forever”and needless to say, that dream moment in the life of a girl can only be made precious with a precious engagement ring. Establish Your Budget: In order to set the gear towards your journey of buying an engagement ring, you will first need to decide an amount that you can comfortably shell out from your pocket. Do not base your decision on the age old adage of the need to spend three-month’s salary on an engagement ring. In other words, do not pay heed to what a particular culture or religion holds. Be smart in your decision and spend as much as is feasible for your situation. What is her Ring Size: You cannot budge an inch in your journey, without knowing her ring size. A little hard work is all you need to know her ring size. You can either sneakingly get a ring from her jewelry box or ask one of her friends to help you get the size. Choose a Gemstone: It goes without saying that the most popular gemstone for an engagement ring is a diamond. While there is no reason why you too should not choose this timeless gemstone, you can definitely consider some of the other options like sapphire, ruby etc.  Choose a Metal: You will be confronted with a number of metal choices the like of which includes platinum, gold, yellow gold, white gold, rose gold, silver etc. In this respect, knowing the taste of your fiancé is a necessity. You can either gather some idea from her friends or indirectly try to squeeze it out of her. Choose a Ring Style/Setting: There is not dearth of ring styles and settings and selecting one can pose as a daunting task if you have no idea what your would-be would love to wear and flaunt. Will she like something in contemporary styles like solitaire, three stone setting, solitaire with side accents, halo setting, pave setting, bezel setting, channel setting, swirl etc.? Or is she expecting something in vintage? Learn about the 4 C’s: In all probability you will choose diamond as the gemstone for your engagement ring. In that case you need to acquaint yourself on the 4 C’s. The 4 C’s are Cut, Carat, Color and Clarity. Of all the 4 Cs, cut is the most important factor because it determines how well a diamond reflects light. The diamond cut grade ranges from a scale of excellent to poor. With cut comes the shape of the diamond and the variety includes round, emerald, princess, pear, radiant, marquise, heart, cushion, asscher etc. Of all the shapes, the round is considered the most ideal choice though the princess cut is also gaining much popularity. Next comes the carat, which refers to the weight of the diamond. The more the carat or the weight, the higher will be its price. The color of the diamond ranges on a scale from D (colorless) to Z (light yellow). The truly colorless diamonds are not just popular and rare, but expensive too. Clarity refers to the absence or presence of flaws or imperfections internally or externally. In this age of innumerable choices in engagement rings, nothing can be as challenging for the boys as choosing a perfect one for their love. As an ultimate expression of love and of commitment, an engagement ring deserves to be bought after much research and thought. It is natural for you to get overwhelmed by the endless number of choices in engagement rings but, the good news is, with the right knowledge and guidance at your disposal you will definitely get something of your choice amidst them.